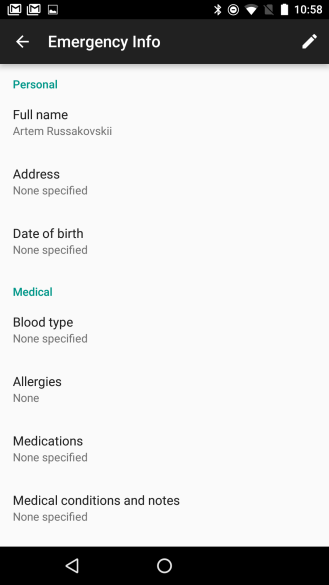 Android N isn't all about the small tweaks and pixel changes, it's also a significant update when it comes to your safety. Well, provided you discover how to set it up and other people know how to get to it. What is it exactly? 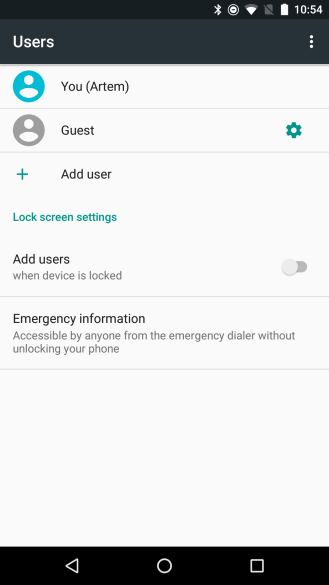 It's the new Emergency information feature that's accessible in Settings > Users and lets you display all the crucial info on your lockscreen for anyone to see, without requiring an unlock. 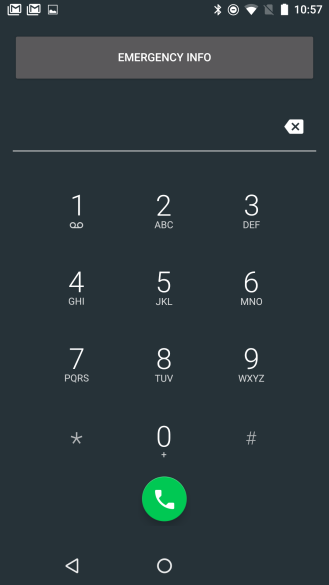 It'll also show up in the setup wizard when you finish setting up a new Android N phone. 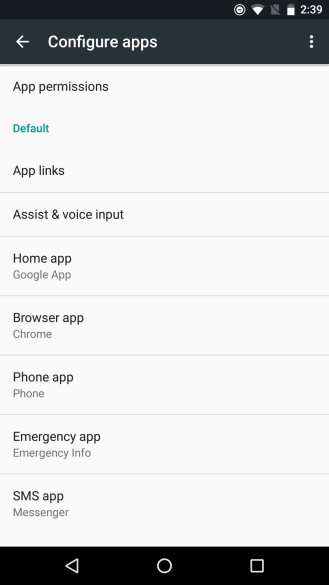 Left: Emergency info under Users. 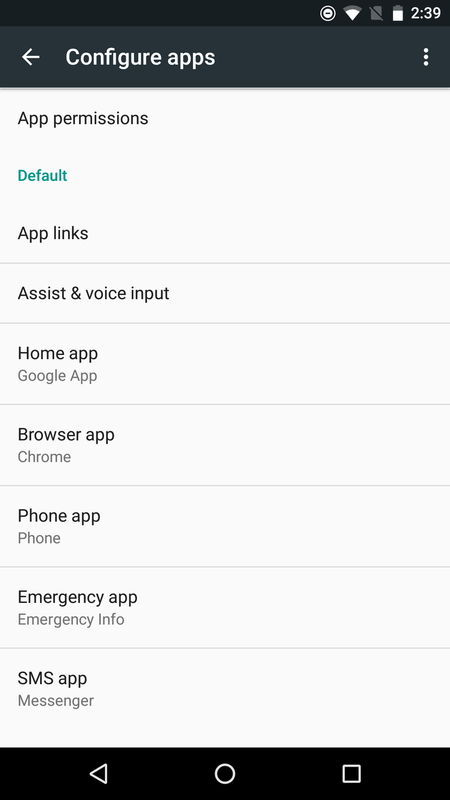 Right: "Emergency app" is a new setting in Default apps. 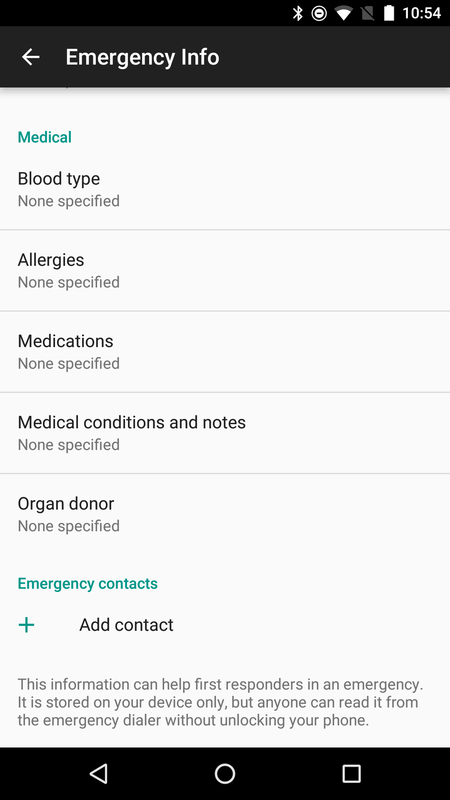 Adding your personal emergency information is a matter of hitting the aforementioned settings section and filling in all the fields with the details that you want to divulge. You can enter your name, address, date of birth, then add all your medical info like blood type, allergies, medications, medical conditions, and whether or not you're an organ donor. 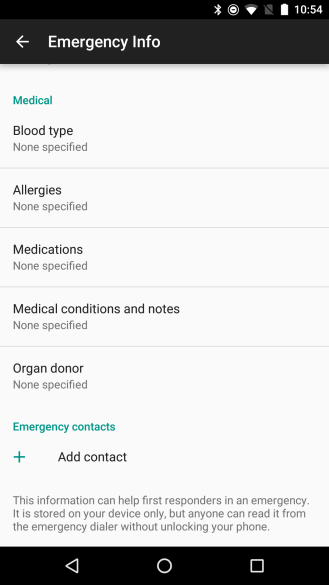 Finally, you can add the contacts to be reached in case of an emergency. These are all the fields you can fill up with information. 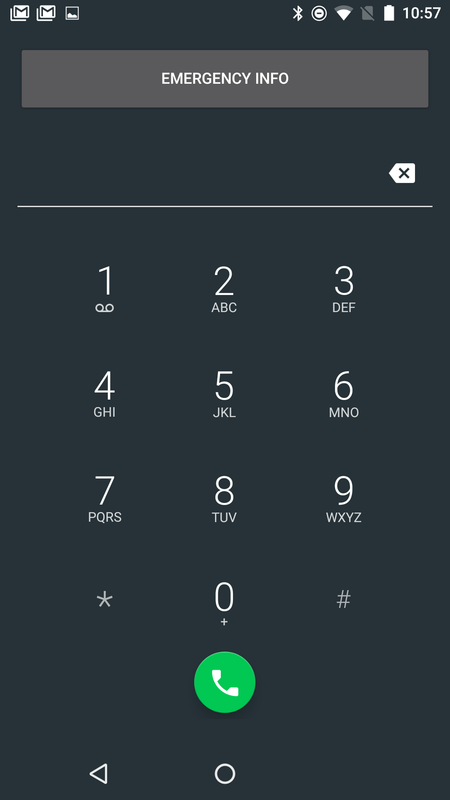 When your phone is locked, anyone can press the power button and get to the lockscreen. There, they have to tap the Emergency word at the bottom, which opens up a dial-pad with a top box labeled Emergency Info. Tapping that box once turns it red (top image) and then again opens up the page with all of the details that you have entered previously. 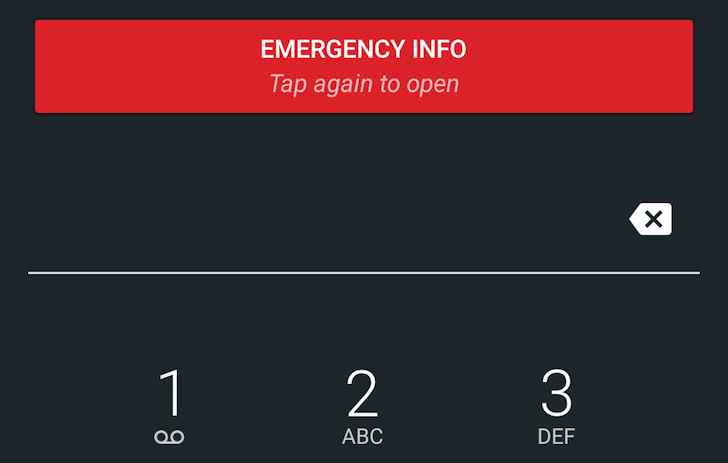 Anyone can read that info and call the emergency contacts (with the phone still locked), but only you can edit it (after you unlock the phone). 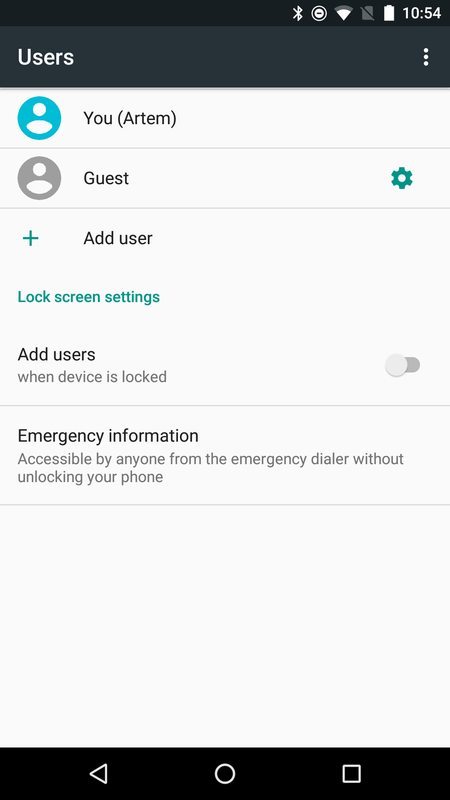 Lockscreen access to Emergency info and view-only information (unless unlocked). This is a potentially life saver feature of Android N and I can only hope it stays there for the final release and the team figures out a way to make it easier to spot.